On the one hand, Tony Medina's use of persona poems converge with a wide range of contemporary African American poets who have actively utilized persona poetry as a mode of writing over the last 15 years or so. Medina takes on the persona of a homeless man in New York City in his series of "Broke" poems: Sermons from the Smell of a Carcass Condemned To Begging (1998), Broke on Ice (2011), and Broke Baroque (2013). In the process of taking on another voice, Medina joined the company of a wide range of writers, including Rita Dove, Tyehimba Jess, Adrian Matejka, Natasha Trethewey, Frank X. Walker, Kevin Young, and many others who have produced full-length volumes or extended sequences of poems utilizing persona poems. Given that Medina's first volume in the Broke series appeared in the late 1990s, we might even say that his work anticipated the extended attention to persona poems that we have witnessed during the 21st century from poets. Where Medina's persona poems diverge, however, relates to his subject. 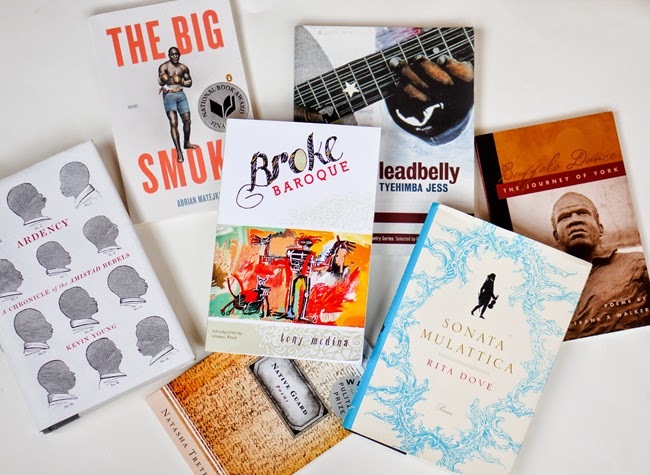 Contemporary black poets often take on the persona of historical figures. For Elizabeth Alexander it was the Venus Hottentot. For Jess, it was Leadbelly, and for Matejka, it was Jack Johnson. For several different poets, it was enslaved people; there is an extended practice, in fact, stretching back for over 100 years among African American poets taking on the persona of runaway or rebellious slaves. By contrast, Medina concentrates on a contemporary figure. In Broke Baroque, we encounter a figure who explains his experiences navigating h the challenges of modern-day New York City. Mentions of rap music, Rush Limbaugh, Ann Coulter, the television show CSI, and other references lets you know that Medina's Broke is a present-day figure. Ok, but in addition to focusing on a contemporary figure, Medina's divergence goes further. He also concentrates on what it means to live in poverty -- a topic that is somewhat rare in contemporary African American poetry. Medina's many descriptions of low-level street life is more akin to what rappers do than what many contemporary poets do. However, Medina's Broke diverges from rappers by never discussing the come up. For instance, the character that Shawn Carter created eventually became filthy rich; the character Medina created remains broke. Finally, there's the humor. Persona poems by contemporary African American poets contain a range of important elements, but not jokes. Medina's work, on the other hand, is filled with zingers and punchlines. Broke could pass as a stand-up comedian. It's rare to read volumes of poetry that have you laughing as much as Tony Medina's do.